Last week we wrote about the challenge for organizations to increase their first time delivery success rate. 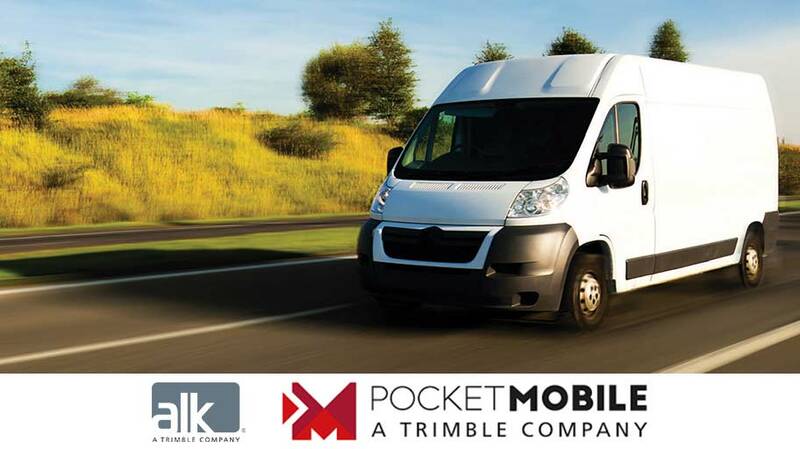 Together with our partner PocketMobile, we have the solution. Prior to the start of the driver’s shift, the routing for a pre-sorted and optimized manifest is visualized in PreCom, which uses a fully integrated version of ALK Maps. The same mapping data source is used by CoPilot on the driver’s device so ensuring in advance that the delivery schedule is achievable and that each driver has a full load. CoPilot provides the navigation on the optimized route. Out on the road, ad-hoc pickups can be dispatched to and accepted by the driver. Real-time changes to ETAs are supported during the day. Any deliveries in jeopardy of breaching an ETA can be flagged to dispatchers to enable them to take the appropriate action. Utilizing driver knowledge can further enhance last mile routing. Shortcuts to a location, once identified and verified, can be updated within PreCom/ALK Maps and deployed fleet wide, into the driver’s navigation. Shortcuts identified this way have the potential to save both significant time and fuel. To complete the delivery, the driver can effectively use many different options, like sign on glass, personalized pin code or photo identification. The PreCom Logistics Dashboard in conjunction with PreCom/ALK Maps can monitor all drivers and the tasks up to signature capture at each drop off point. Based on the driver’s current performance and routing profiles, real-time ETAs and location data can be pulled from the navigation and taken into the back office. As a consequence, if a driver is behind schedule, preemptive action can be taken, such as informing a customer of a delay and providing an updated ETA. On the return to the terminal, a profile of the entire time out can be used as an effective form of driver debriefing, with actual routing compared to the optimal route versus the driver modified route and any subsequent impact on SLAs and ETAs. Geofencing functionality within PreCom Logistics and PreCom/ALK Maps can pinpoint precise pickup and drop off locations, ideal for drivers on large scale sites or where the delivery point is different to the postal address. It also takes into account additional parameters, such as restrictions on vehicle type and time of day access. Due to a variety of factors, established postal companies may at any time have a range of different handsets active in the field, working in tandem with a complex arrangement of back office systems and applications. ALK and PocketMobile remove the complexity by bringing current end-to-end delivery optimization within the parameters of an existing IT infrastructure. Want to know more? Find our full case study here or contact us to schedule a demo.